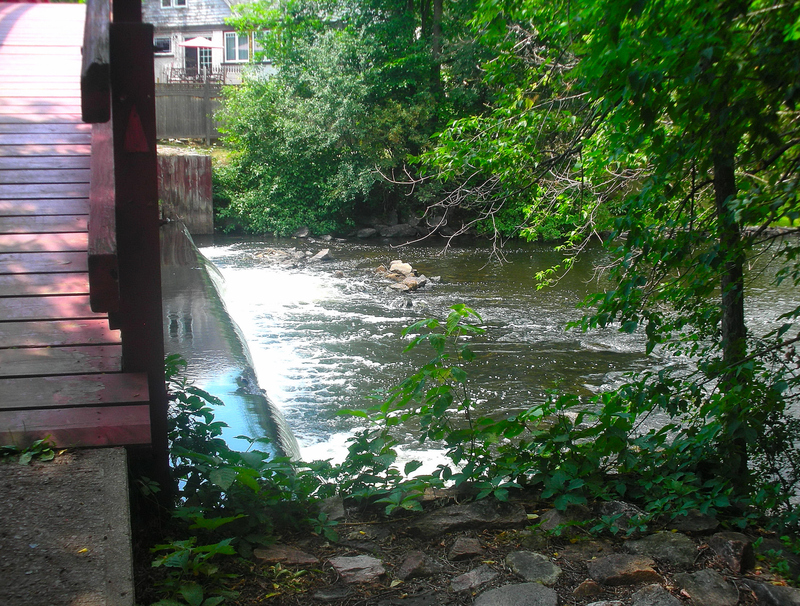 Just past Stewart Park in Perth is the site where Dr. Thom, the staff surgeon of the Perth Military settlement built the first grist mill in 1817. It was sold to John Haggart in 1832 who continued to mill oats and also constructed a saw mill. In 1896 Haggart formed a partnership with James Herron from Lanark and they were known as Haggart and Herron Mills. At their peak, they were producing seventy-five barrels of flour per day plus cornmeal, oatmeal, graham flour and this was one of the most important mills in Eastern Ontario. In 1887 Haggart Dam provided the first electricity for the town of Perth. Haggart Dam is such a pretty spot with the little wooden bridge arching over the water; a perfect spot for a summer picnic!